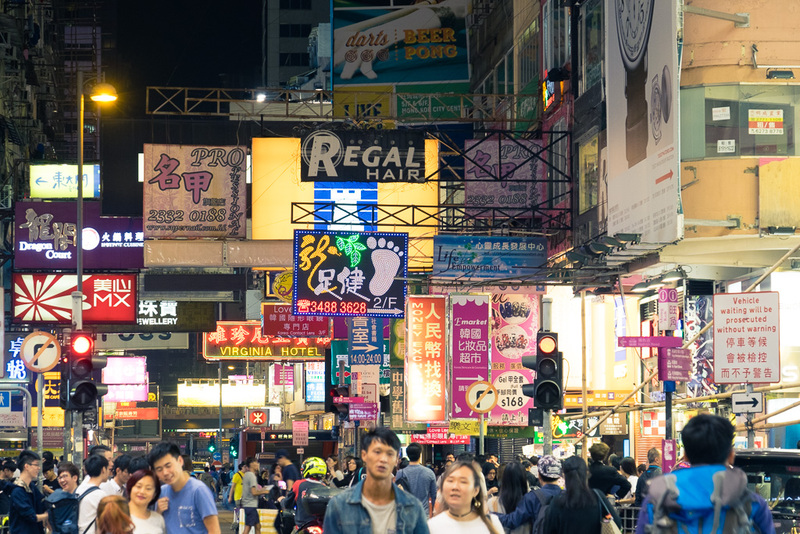 An everyday life's Odyssey » A walk at night in Kowloon. A walk at night in Kowloon. A walk at night in Kowloon, Sai Yeung Choi Street, Hong-kong. This street is truly animated when the night comes: lots of neon lights, and people walking in streets lit like in broad day light. I left this place mid/late November, and all the stores were already playing the Christmas jingle bells songs, which felt pretty weird as I was walking bare arms.